LPGA Season Ends Sunday with Live Telecast on ABC; $1 Million Bonus on Line - ESPN Press Room U.S.
A $1 million prize is on the line as the 2018 LPGA golf season comes to a close on Sunday with a live ABC telecast of the final round of the CME Group Tour Championship from 1-4 p.m. ET. Held at Tiburón Golf Club located at the Ritz Carlton Golf Resort in Naples, Fla., the event showcases 72 of the world’s best female players based on a unique, season-long, point-based qualifying format. With the points reset for the finale, the top players will be competing to win the Race to the CME Globe and a $1 million bonus. World No. 1 Ariya Jutanugarn, who won the event last year, leads a stellar field that includes 17 of the top 20 players in the rankings. Twenty-five different players have won on the LPGA Tour this season and 22 of them are playing in Naples. Including Jutanugarn, all four previous winners of the CME Group Tour Championship will be in competition. Lydia Ko won the inaugural event in 2014, while Cristie Kerr won in 2015. Charley Hull was the 2016 winner. The field also will include Americans Lexi Thompson and Jessica Korda, both of whom have played limited schedules in recent months. Dave Flemming will call the action for ABC, joined in the booth for analysis by World Golf Hall of Fame player Judy Rankin. 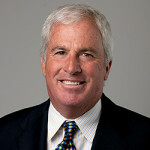 Bill Kratzert and two-time U.S. Open champion Andy North will report from the course while World Golf Hall of Famer and two-time U.S. Open champion Curtis Strange will call play from various holes.